Should I Use a Credit Card to Pay Off my Car Loan? Imagine yourself getting ready for work then your son walks in and asks, Should I Use a Credit Card to Pay Off my Car Loan? Every day, hundreds of young first-time car owners wonder whether it makes sense to pay off their car loans using their credit cards. On the other hand, you probably have a high-interest mortgage to pay and you want to move on from your auto loan as soon as possible. Here are some important facts about using a credit card to pay off monthly car loan installments. Can I pay my monthly car loan with a credit card? Why can’t I pay my car loan with a credit card? What are the disadvantages of using my credit card to pay off an auto loan? Should I pay my auto loan payments using a credit card? Yes, you can. You’ll need to fill out a balance transfer form provided by your credit card provider. Once the balance transfer is complete, you’ll repay your auto loan using new terms provided by your credit card company. Before you fill out a balance transfer application, check whether your credit card’s limit is large enough. Some car dealerships don’t accept credit card payments because they attract high merchant fees. The auto loan exceeds your credit limit. Your credit score falls short of the requirements. Yes, if you want to enjoy the following advantages. Nowadays, credit card companies lure customers by offering 0% APR for the first eighteen months. If you have less than eighteen months to pay off your auto loan, you’ll save a significant amount of cash by switching to a zero percent APR repayment plan. In addition to avoiding interest charges for eighteen months, you’ll be able to pay your monthly installments on time. Payment history accounts for at least 35 percent of your credit score. When you pay your monthly auto loan installments on time, your credit score improves. Virtually every credit card company runs a customer reward program to encourage continuous spending. Some companies offer you periods of discounted interest rates if you accumulate reward points to a specified minimum. You can also benefit from an increased credit limit and this directly improves your credit rating. When your credit lender approves your auto loan application, you pay a monthly installment that consists of a special insurance premium. Since you’re making a credit purchase, your car dealership or bank charges a Guaranteed Auto Protection premium (GAP). In case a buyer defaults, the creditor can recoup part of the outstanding payments from the GAP premiums. Did you know that GAP premiums account for at least 10 percent of your auto loan monthly installment? When you apply for a balance transfer, the credit card company won’t charge you GAP premiums. Ask whether your car dealership or credit lender allow balance transfers. If yes, request for an application form. Pay the fee required to initiate the balance transfer. Check whether your credit card company has paid off your auto loan. Credit card companies charge 0 % APR for the first eighteen months you use your credit card. If you have less than 18 monthly installments to clear, you’ll save a lot because you don’t pay interest charges for 18 months. What happens after the promotional period expires? The credit card resumes to their normal interest rates ranging from 16-19 percent. This is actually higher than your auto loan interest charges. If you skip payments during the promotional period, your monthly installments will be costly. In the credit world, secured debts attract more respect than unsecured credit. Creditors usually pay more attention to your mortgages and secured bank loans’ payment history than they do to your credit card history. When you transfer your auto loan to your credit card, you switch from secured to unsecured debt. This shift will remain present in your credit score for at least two years. Financial coaches advise people to utilize 30 percent of their credit limit. Doing this helps a borrower to repay their loans on time and boost their credit score significantly. If your credit limit is $1,000, your monthly credit card expenditure shouldn’t exceed $300. When you request a balance transfer, the auto loan balance definitely exceeds 30 % of your credit limit. It may probably be 80-100 % of your credit limit and this directly affects your credit score. Even if you pay your monthly installments on time, your credit score won’t improve much. Auto loans make their profits through the monthly installments you pay during the repayment period. It’s in their best interest to ensure you stick to their plan from your first installment until the final one. So, when you request to transfer your auto loan to your credit card, expect some resistance. Some auto loan lenders require the buyer to pay the balance transfer fee plus one month’s installment in cash. The balance transfer fee is usually 5 %of your auto loan balance. If you don’t have enough money at hand, you’ll have to sell off a few belongings to afford your balance transfer costs. 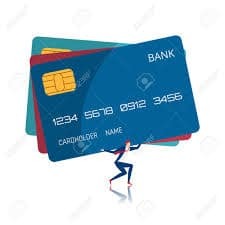 Credit cards are a form of unsecured debt. Since credit card lenders want to minimize the risk of default, they employ strict controls to ensure you pay your debt on time. If you skip a monthly payment, you’ll have to pay late payment fines that probably amount to 10 percent of your outstanding credit. If you skip a second payment, the credit card company immediately reports you to credit reference bureaus. Auto loan lenders are more approachable and are less likely to report you if you manage to make partial payments. While it may seem rational to transfer your auto loan balance to a zero percent credit card, you lose credit score points when you switch from a secured to an unsecured debt. Plus, your credit score takes another dip when your auto loan exceeds 30 % of your credit limit. If you need help on auto loan refinancing, you can always call Complete Auto Loans.